As a young animal lover, I have always dreamed of seeing sharks and swimming next to them. I remember staying up late to watch dive expeditions being shown on National Geographic and Discovery Channel. Diving with the thresher sharks was part of my dive bucketlist. According to some stories, some Spaniards have been sailing through the Visayas in the year of 1520 and ended up stranded on Malapascua on Christmas Day because of the unfortunate incident they called the island Mala Pascua, which literally means “Bad Christmas”. I am not certain how they could’ve thought it was bad luck to be in a beautiful island. Although the older local people still insist that their island’s name is “Logon” (same name as the main village here on Malapascua) and not Malapscua. This island a popular dive destination in the Philippines. The picturesque island is home to a world famous treasure. A special kind of shark, the thresher shark. As a young animal lover, I have always dreamed of seeing sharks and swimming next to them. I remember staying up late to watch dive expeditions being shown on National Geographic and Discovery Channel. 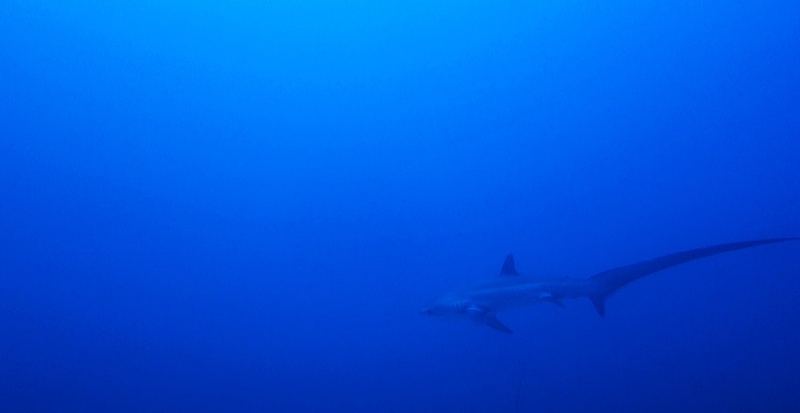 Diving with the thresher sharks was part of my dive bucketlist. To get to Malapascua is not that quick, from Cebu City, you will have to take the bus all the way to Maya which takes about 5 hours. For my trip, I took the bus to Bogo and stayed there for the night. The following morning we took the bus from Bogo City to Maya Port. I enjoyed the bus ride as it passed through rice fields and mangrove forests. When we reached Maya Port, the locals immediately asked if we were heading to Malapascua. I was told that the usual price is 80 PHP but we arrived a bit late (most boats don’t go to Malapascua in the afternoon unless you charter them because of the current) so we had to just say yes to them. The weather was on our side that day despite warnings of thunderstorms that weekend. I sat and enjoyed the calming sea breeze for 30 minutes as the boat sailed smoothly over the placid sea. The other passengers looked like babies on a cradle slowly falling asleep. 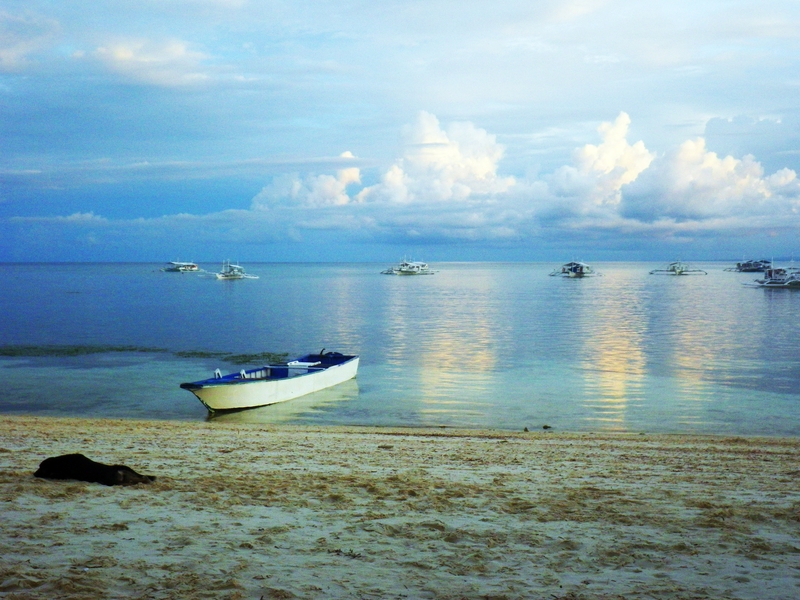 Malapascua somehow reminds me of Boracay in a less touristy way. Unknown to many, 2 years ago, Malapascua Island was also one of the islands ravaged by Typhoon Haiyan. Expats and locals both pitched in to recover from the destruction and while I was walking around there were little traces. Clear blue skies and white sand. We did not make any prior bookings relying on the fact that it was off season in the island. It was not difficult to find accomodations. 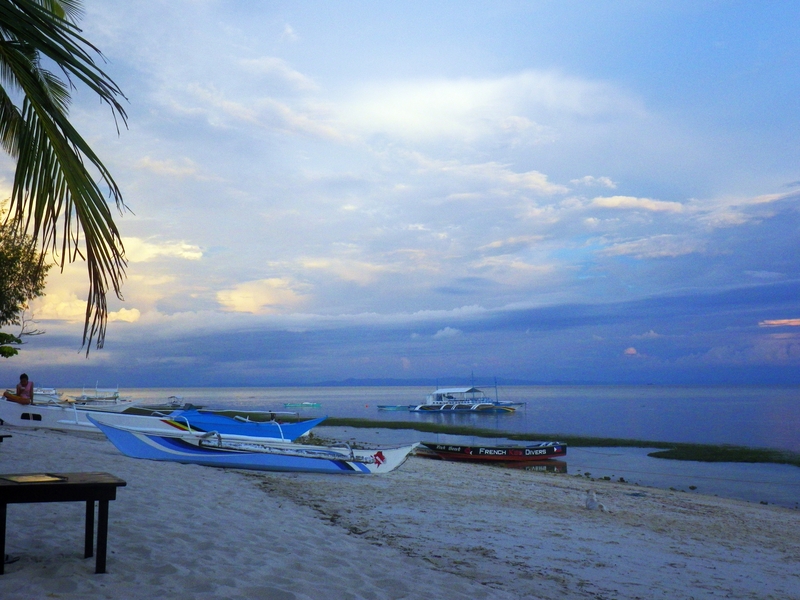 I saw more than 10 resorts all lining the coast of Malapascua. More than a decade ago, I visited the island as part of my mother’s regular company outing. I could barely remember the details of the island and would’ve gotten lost if not for Lucas. He already went to Malapascua several times for diving. I am always embarrassed when people ask me where I did my dives ( I probably did more dives in Mabul and Sipadan than in my own country). It was my first dive in Cebu by the way! Anyways, we headed to French Kiss Divers first to try squeezing in a dive for that day (we needed vitamin Sea so much that they anyways their local staff thought I was Thai, not sure if I should be happy or not). They were nice enough to schedule a 3:30 PM dive. 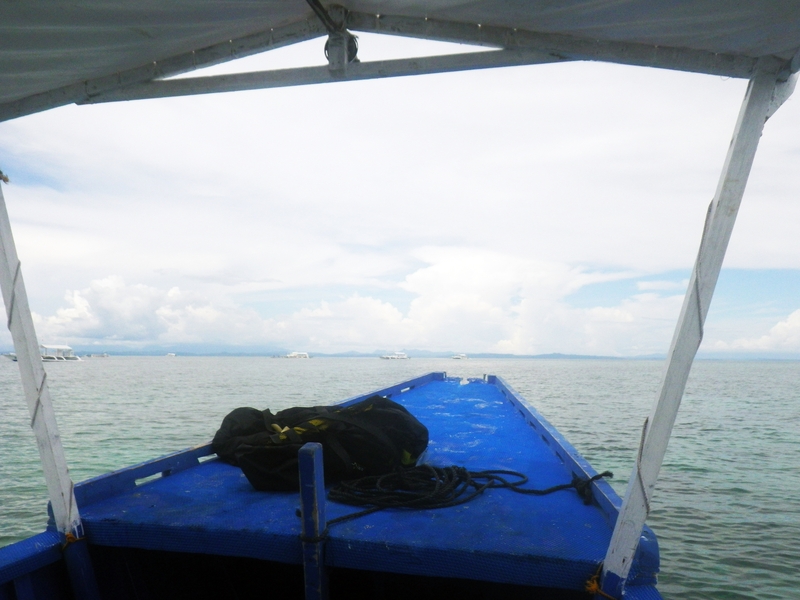 After taking care of our dive for the day, we headed to Malapascua Exotic Island Dive & Beach Resort. Exotic is one of the established resorts on the island and they offer budget accomodations (for those who want to spend more on dives than their beds). We left our bags and had a quick lunch (they had a wide variety of dishes and the servings were good). Once we filled our stomachs, we walked back to French Kiss to prepare the dive gears and do all the necessary equipment check. The view just makes you want to jump right in without your gears. Shark diving is the main activity in the island but you can also do macro-diving. 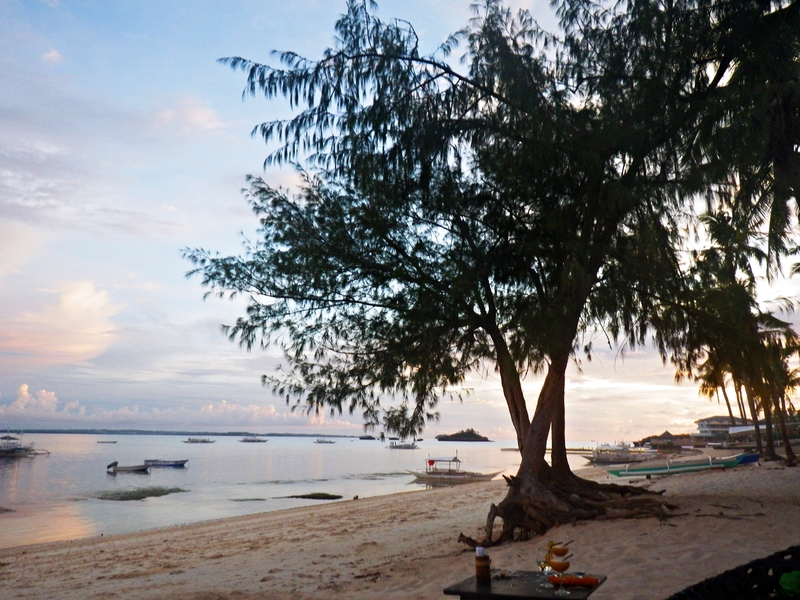 Malapascua offers sandy bottoms, seagrass meadows, mangroves and coral reefs. 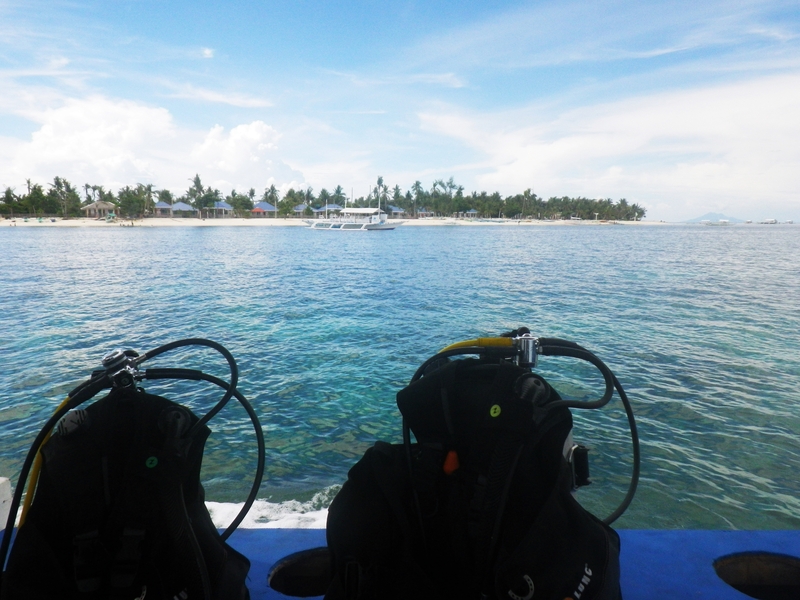 The island has other top class dive sites apart from Malapascua such as Gato Island, Lapus Lapus and Dakit Dakit. 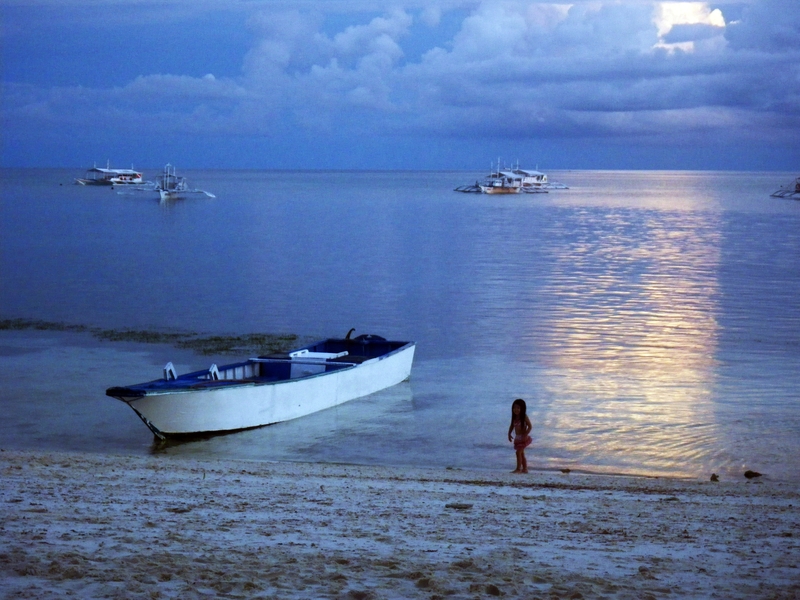 If you are spending more days in the island, you can even hire a boat to take you to Kalanggaman Island in Palompon. Our first dive was at Deep Slope which was a unique underwater sand dune that slowly turns into a small wall which is covered with soft corals. Pygmy seahorses, yellow and pink ones can be seen inside the different sea fans along that reef. An interesting dive site for more experienced beginners and advanced divers. For beginners, you need to be aware of the slope and make sure to always check your dive computer to avoid diving beyond your limit. While doing the dive, I got a bit nervous when we suddenly saw a banded sea snake (more than a meter long) swimming along the reef wall (FYI: I hate snakes and centipedes). We spent 40 minutes to explore the site. By the time we were done, the sun was already about to set so we headed back to our room to freshen up and see more of the island. The sun beams reflecting over the tranquil waters. A quite late afternoon by the shore. A little girl plays by the sea. You can peacefully walk by the shore and take a dip. This little Japanese girl enjoyed playing with sand while her mother took photos of her. She was so adorable! 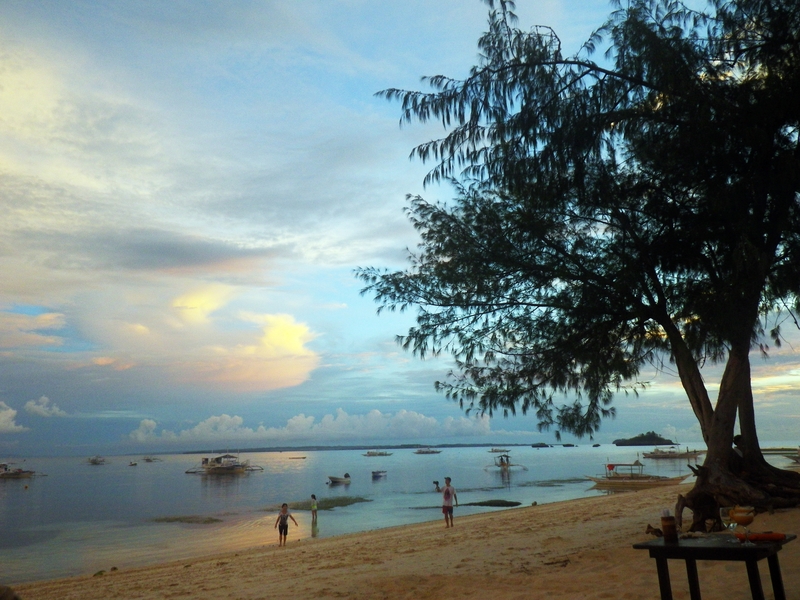 Although the Malapascua has a lot of establishments, it is still less touristy as Boracay ( I’m happy about that). It was off peak season when we visited and most of the people by the shore were foreigners. Several foreigners taking photos of the beautiful sunsent. A not so good panorama of our first afternoon. 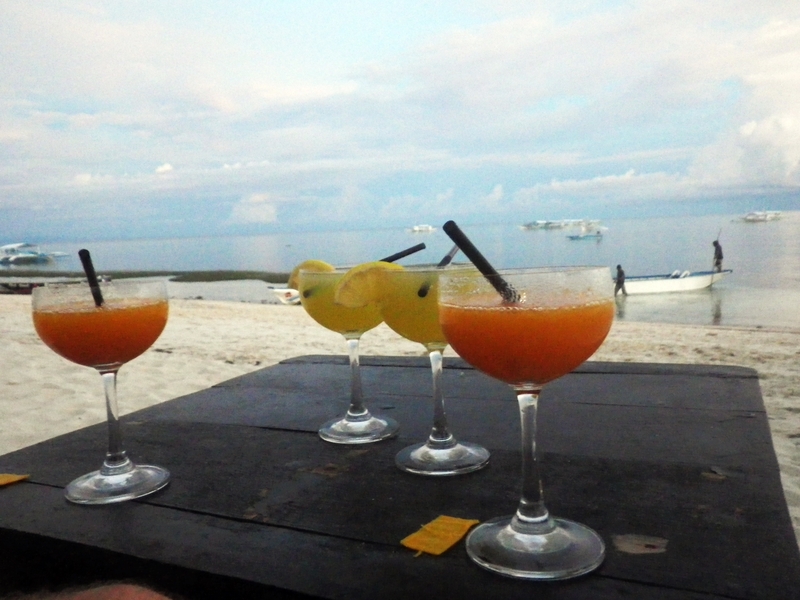 We walked a couple of meters from Exotic and decided to get some drinks to cool down. Ocean Vida has a great beach front, I loved the comfy lounge chairs by the shore that is perfect for spending a lazy afternoon. You can easily doze off there. The shadow of the coconut trees and the light from the bamboo torch. We were lucky to be there during happy hour although we did not intend to double the amount of cocktails we were drinking. Couple of sips later, I started hearing my stomach grumbling. They also had a good menu and so we ordered fish (I do not eat tuna, I will tell you why in another blog post). You can easily tell if the fish is fresh by how it tender and moist it is. 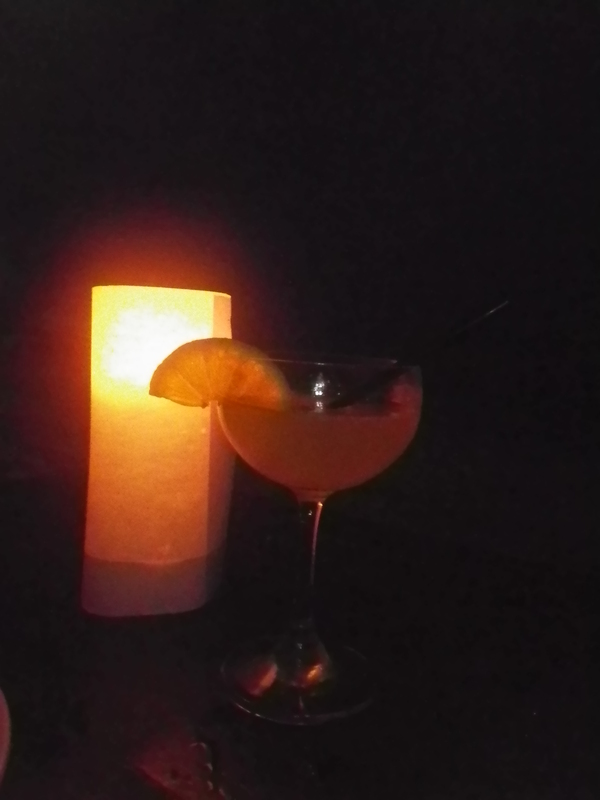 By the time we finished dinner, darkness had enveloped the island. By 8 P.M, we headed back to our room and called it a night. Sun rising from the surface of Monad Shoal. A lot of divers fly from different countries to see them so we had to go to the dive shop by 4 A.M. to be earlier than everyone else! Monad Shoal (approximately 8km from Malapascua) is a seamount rising 250m from the sea floor. The shoal is about 25 minutes by bangka. It is one of the rare places in the world where Thresher Sharks (Alopias pelagicus) can be seen regularly while scuba diving. Depending on the season you my also encounter white tip sharks, silver sharks, devil rays and giant manta rays. During our dive, they spotted two eagle rays at the cleaning station. Other regular visitors to the cleaning stations include lionfish,sweet lips, octopus and batfish. A lot of divers fly from different countries to see them so we had to go to the dive shop by 4 A.M. to be earlier than everyone else! It is a dive for advanced beginners since the cleaning station is beyond 18m. Anything deeper than 18 meters is already considered as deep dive so if you are an open water diver who wants to see the thresher shark, you will have to take the Deep Dive Specialty Course. When diving at Monad or anywhere else, you should follow strict diving rules to minimize the impact of divers and to increase the chance of a shark encounter. A thresher shark passing by us. I was happy to finally cross this off my bucketlist of marine creatures to see. I saw two of them but they told me you can see more if you are luckier. Their huge eyes made me think of anime characters. I wanted to give them a hug! Most people all over the world still have the wrong connotation about sharks (blame it on Spielberg’s Jaws for instilling fear in us). I thought the same too when I was a kid. Back then the grown-ups would always scare me whenever I wanted to swim farther from the shore. They would always say “Naay iho dira!” which means there are sharks there. I would always swim back in fear that they will eat me alive. Contrary to popular belief, more sharks are killed by people. Even mosquitoes kill more people than sharks and we do not seem to be scared of them more than we are with sharks. I learned a lot of things when I competed for Miss SCUBA International 2013. I was lucky enough to meet Jonn Benedict Lu. He talked to us about what Shark Savers is doing to help the sharks. The thresher shark was first described by Bonnaterre in 1788, as Squalus vulpinis and was later changed to the current name of Alopias vulpinus (Bonaterre, 1788). Vulpinus is derived from vulpes, which means “fox” in Latin. It’s mostly seen on the surface but it inhabits waters to 1,800 feet (550 m) in depth. Thresher sharks are observed infrequently jumping out of the water as high as 6 meters. They feed mostly on small schooling fish. Thresher sharks encircle schools of fish and then stun the prey with their tails. This is often done in groups and/or pairs. They have also been known to kill sea birds with their tails. The thresher shark is considered harmless. The species is shy and difficult to approach. Divers that have encountered these sharks claim that they did not act aggressively. However, some caution should be taking considering the size of these sharks. 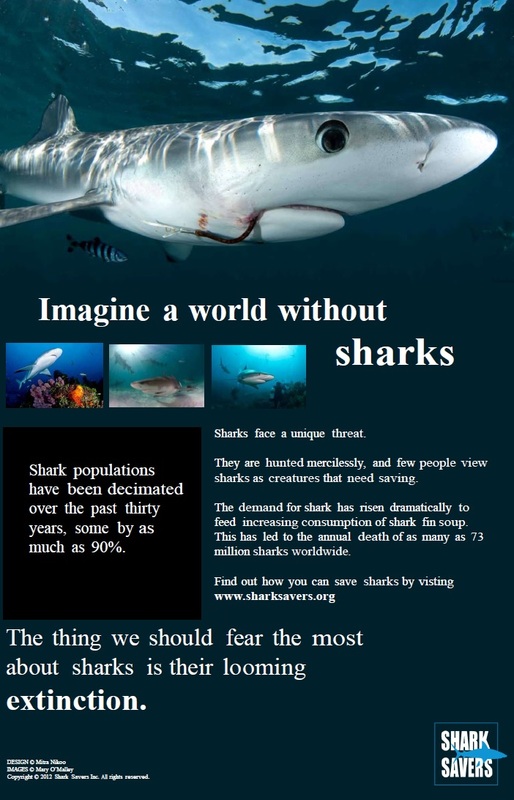 Sharks play a very important role in the oceans in a way that an average fish does not. Think about underwater version of the lion. They are the kings of the ocean that keep the food webs in balance and help in keeping vital underwater habitats healthy. You can read more about it here. Unfortunately, sharks are not well protected in the Philippines. Although Cebu province has an ordinance banning the catching and trading of all species of sharks and rays, sale of these still continues in several fish market. Sharks are fished all over the world for their fins which is a popular Chinese delicacy. This demand has caused the massive decline in the shark species. EDUCATE. 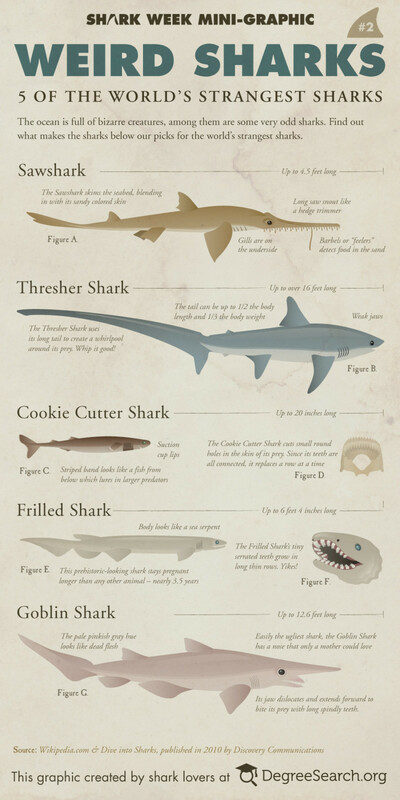 Make it a point to clarify the myths about sharks. 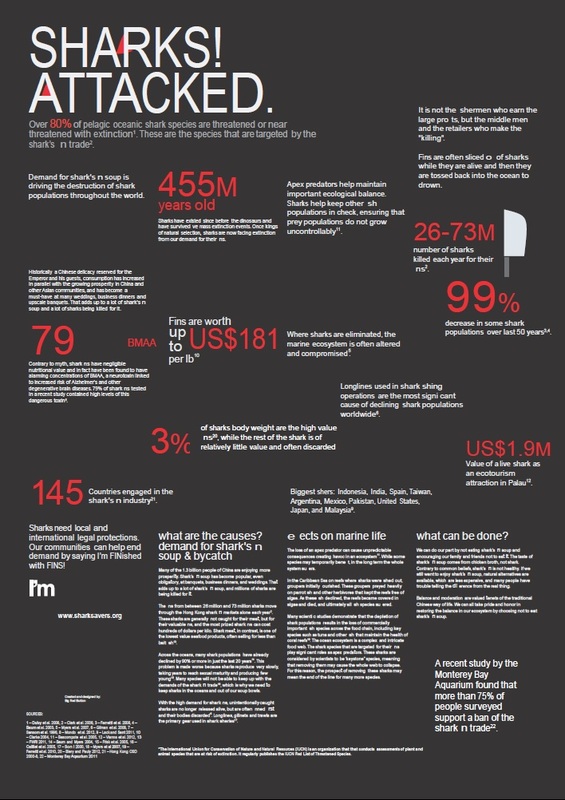 Making others aware about the role of sharks in our oceans can help lessen the consumption. BOYCOTT SHARK PRODUCTS. As WildAid puts it “When the buying stops the killing too.” Do not support products that contains ingredients from sharks like sharks fin soup and dumplings and beauty products that contain sharks oil. You can get more information about the opportunity here. Most kids often wish to grow up fast. I never did. In fact, after my high school graduation, I was undecided on what I wanted to do. I wanted to avoid adulting or being a full blown but one could not stay fully as a kid forever. Situations change and whether you like it or not you get a slap from reality. I would like to think I have successfully found balance, I need to be an adult in certain situations but I kept my kid-like excitement for adventures, curiousity for new things and contentment over simple things. Okay maybe I am more on the childish side but I think I am slowly getting the hang of this tricky thing called life. This is evidence of me trying to be a kid and just having fun with the local kids in Alegria. If there is one snack that is popular among Filipinos, these fried bananas have to be on the top, from being dipped in batter like the pinaypay (fan) to just covered in caramelised sugar. Prices varies in smaller towns like Alegria one stick is P10 or less while in bigger cities it can be P15 or P20. My favourite versions are simply those fresh ripe bananas, grilled bananas on the stick (no margarine or sugar) or the turon which is banana with jackfruit bits wrapped in thin egg wraps that is the fried. Also, if you buy and it eat there without asking it to be packed in plastic bag it is a good zero waste option. Which one is your favourite version of the banana snack?